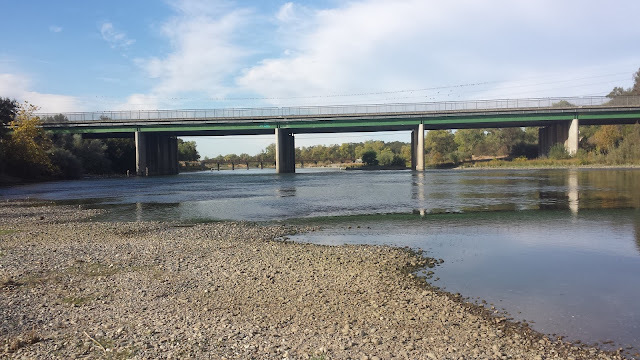 Both the Feather River and the American River rely on landmarks to mark areas that are either closed or open to fishing. Sometimes it can be difficult for anglers who are unfamiliar with these landmarks to know which section they are fishing. 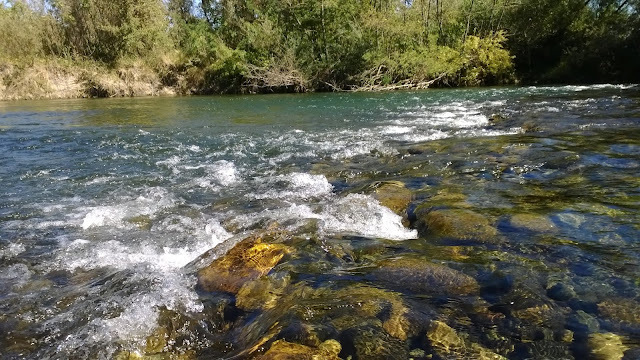 Here is a bit of a cheat sheet to help pin-point the sections and fishing seasons of both the Feather and American river. *Please read the regulations for yourself for clarification! *Open for all other species includes steelhead. *Striped bass fishing is opened all year with a two fish limit with a minumum size of 18''. *Wild steelhead have an adipose fin intact while hatchery steelhead do not. *You need to have a steelhead card signed before fishing for steelhead. DFG Regulations Article 3 - 7.50 Unless otherwise provided, waters shown as open to trout and salmon fishing below, are open to fishing for other species. Every body of water listed below is closed to all fishing except during the open season as shown. Gear restrictions listed in this section apply to the take of all species of fish unless otherwise noted. (A) From Fish Barrier Dam to Table Mountain bicycle bridge in Oroville. (A) From Nimbus Dam to the U.S. Geological Survey gauging station cable crossing about 300 yards down-stream from the Nimbus Hatchery fish rack site. Notice that this section closes November 1st - December 31st to all fishing. If you zoom into the map more you will find the cables that mark this section. This is the most helpful webpage I've come across to pin-point the sections and fishing seasons of both the Feather and American river. Thank you so much! Thanks for comment. I just updated this post with an embedded google map showing all the landmarks and regulations on one map instead of clicking to open in a new window. Tight lines! Yes, Mathew, Thank you very much for putting this together. I could only find info on whether barbless hooks are required based on the section of water - is there anything to know about leader length? No special regulations on leader length. Just no weight at the end of your line/drop-shoting. Anyone know if the Fair Oaks Bridge is a barbless area? Just north of Sunrise. Nice Map. Thanks. Really helpful.